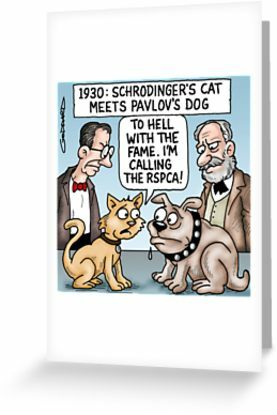 Here are 20 more or less professional cartoonists who had precisely that original thought. 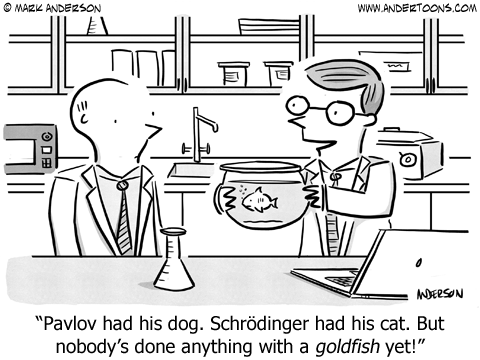 Guess how many of them managed to make it funny. 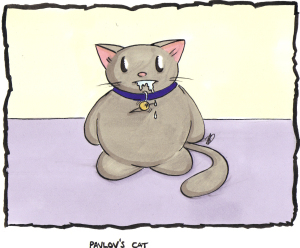 I’m posting this because I’m surprised at how much failure there is on this. 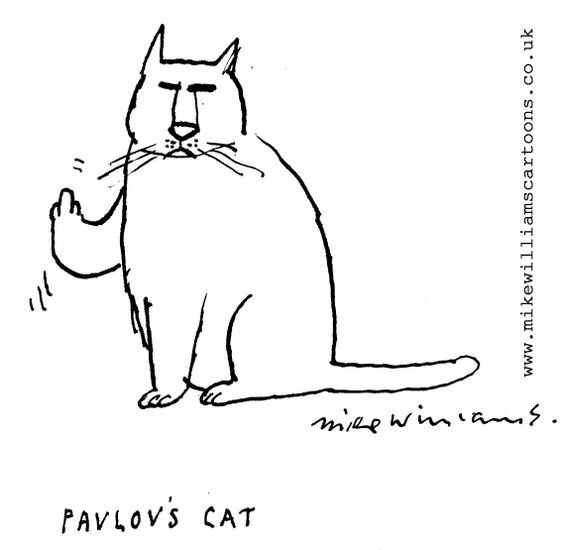 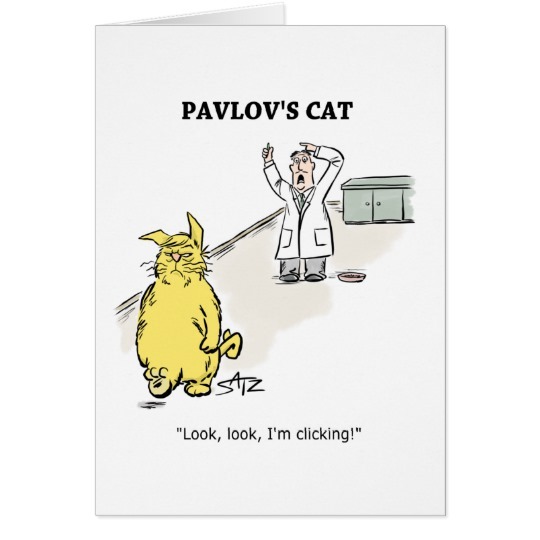 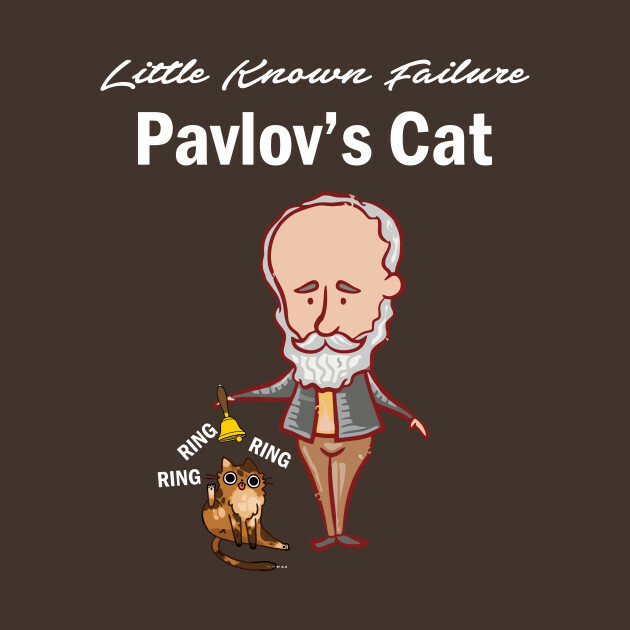 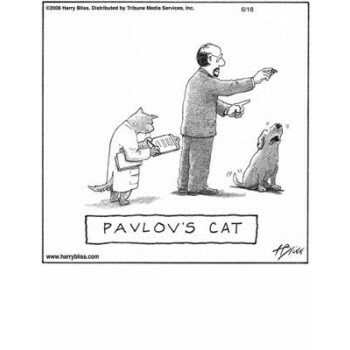 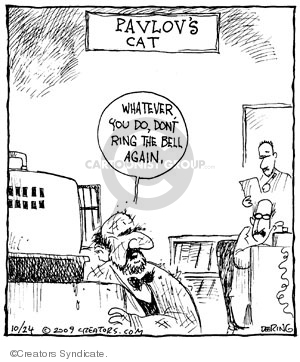 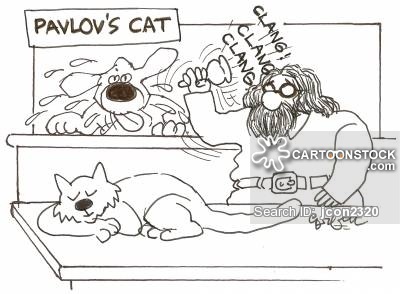 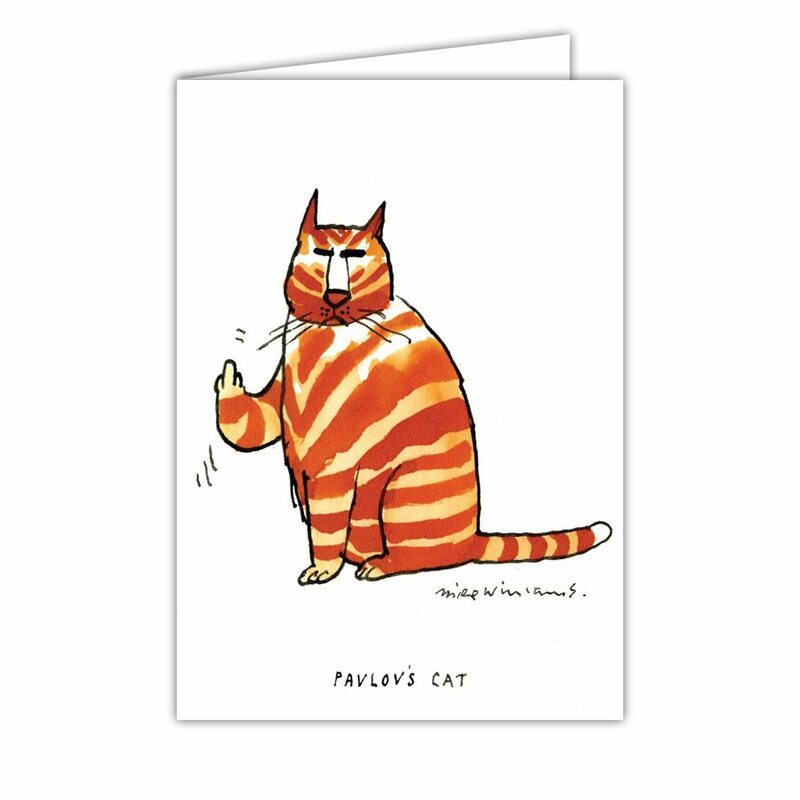 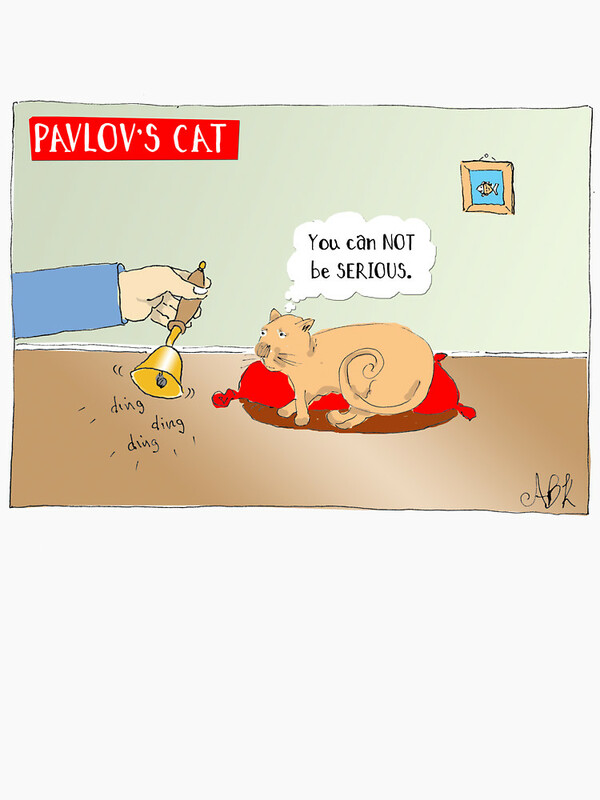 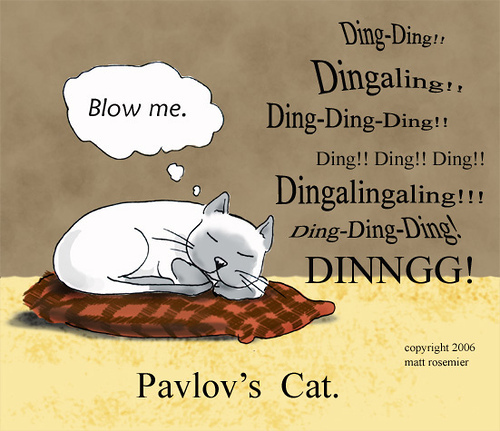 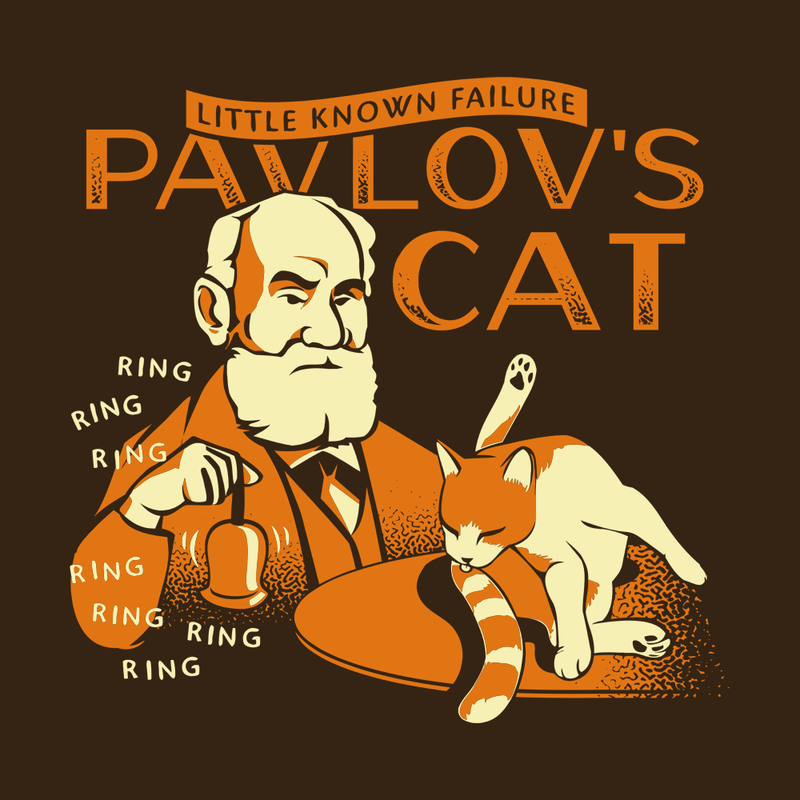 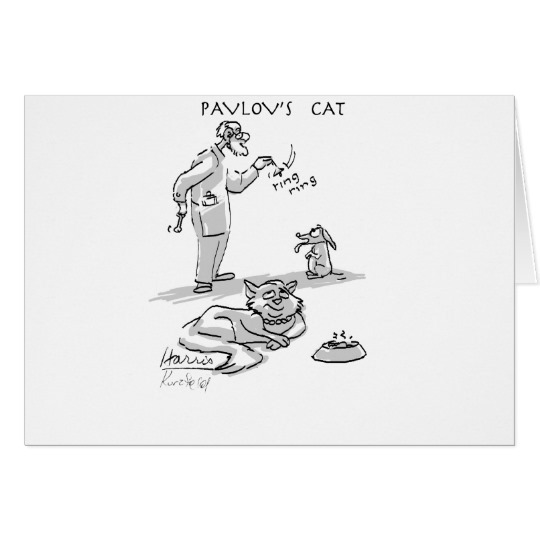 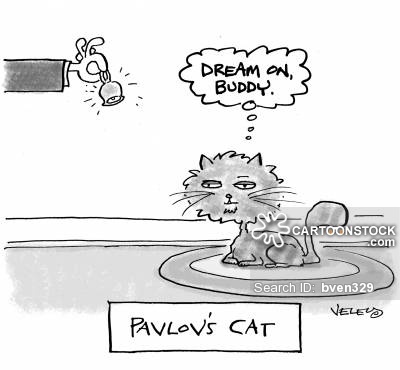 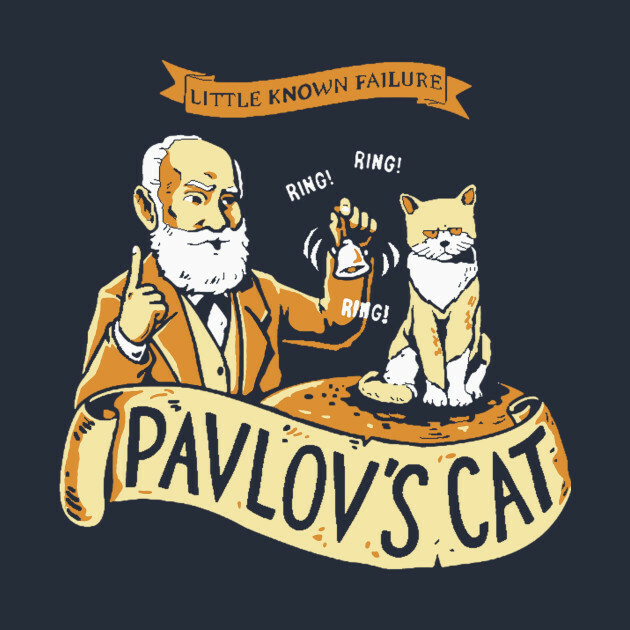 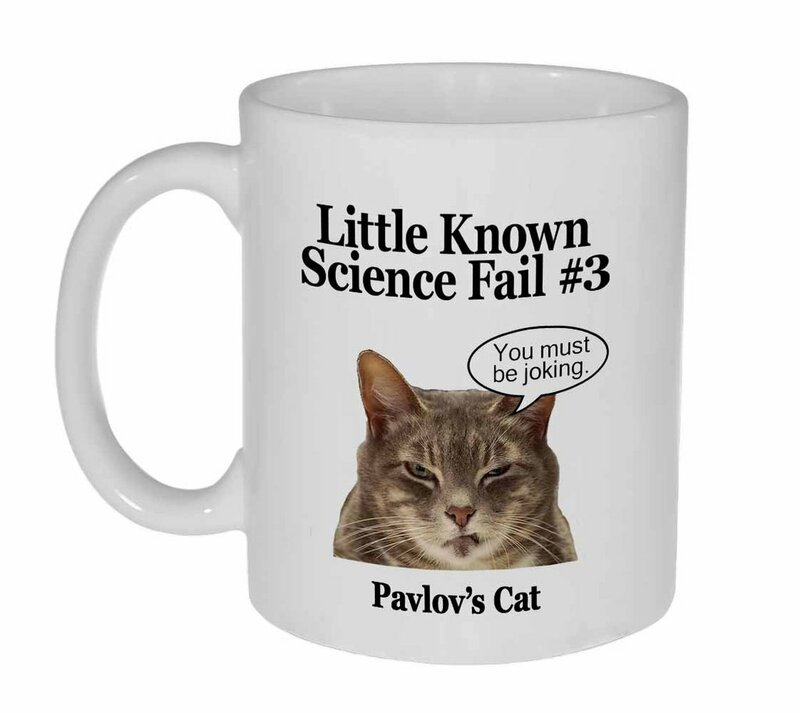 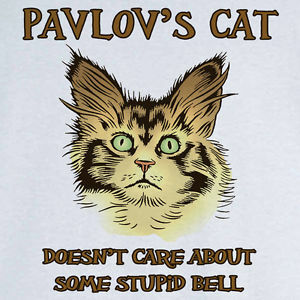 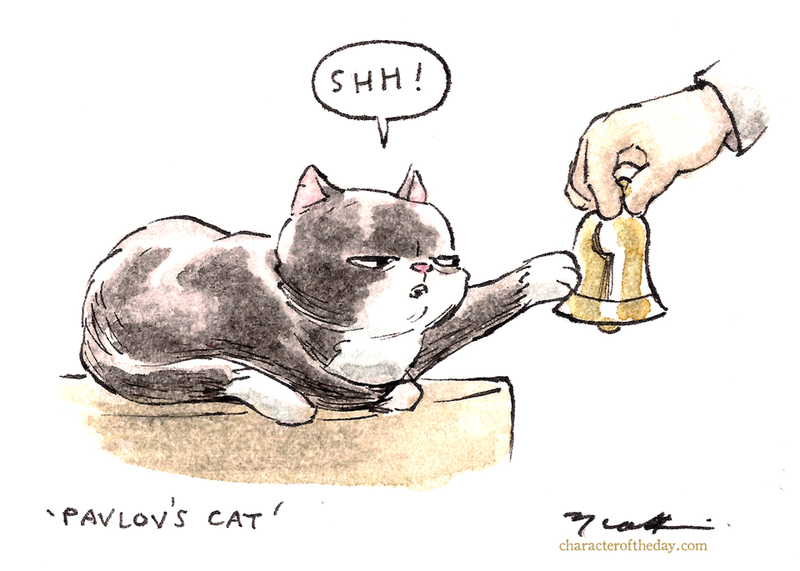 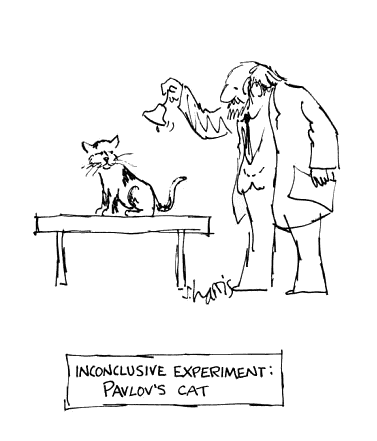 Is the idea of Pavlov’s Cat inherently, objectively unfunny? 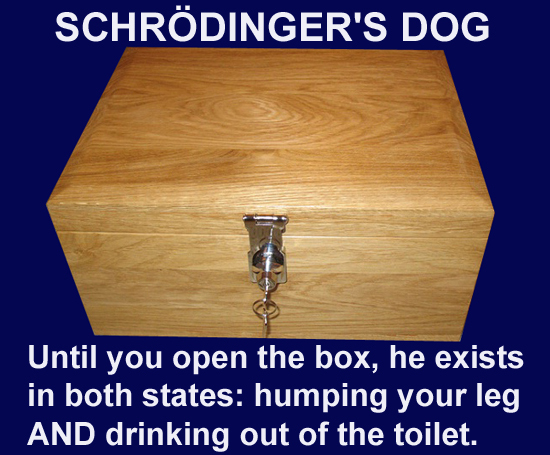 Bonus, slightly fewer people made it to Schrödinger’s dog. 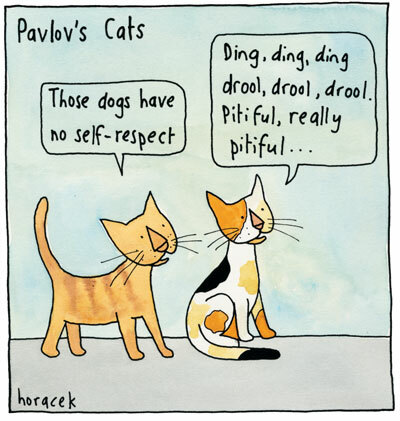 Somehow, a few of these are kind of funny. 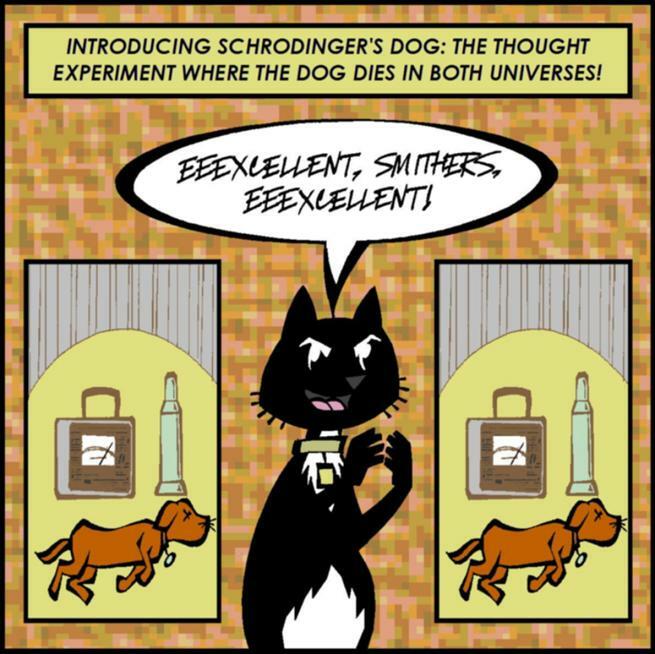 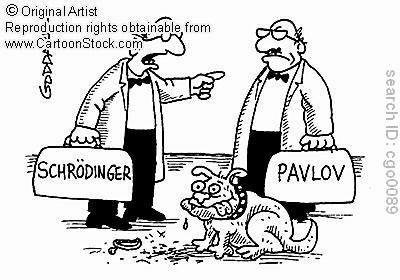 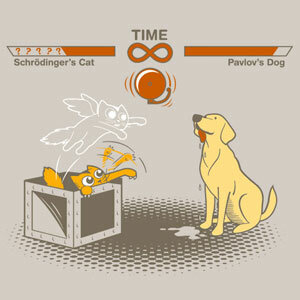 Why is Schrodinger’s Dog less hackneyed than Pavlov’s Cat? 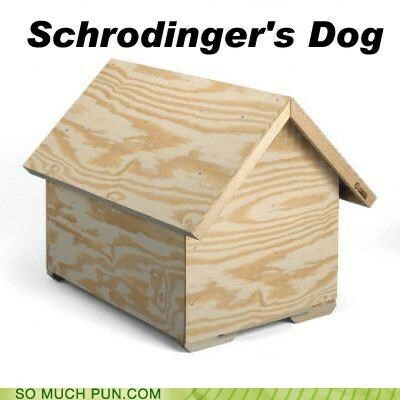 What does it mean about humor or semantics. 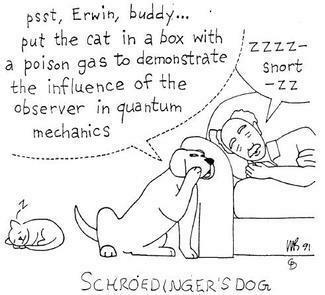 Also notice the different roles of the dog compared to those of the cat. 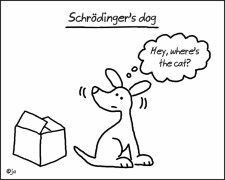 And what does not original plus not original equal? 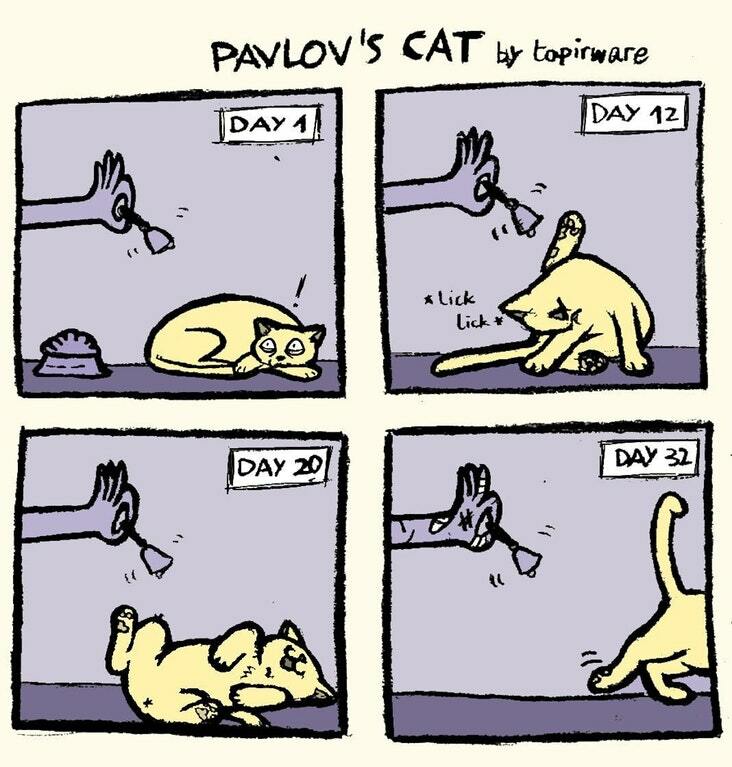 Still not original. 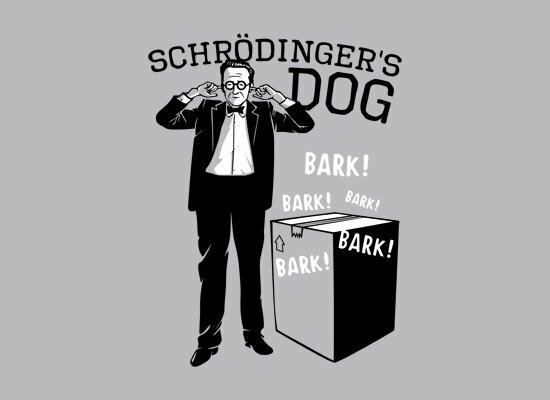 OK, fine, the last one is funny. 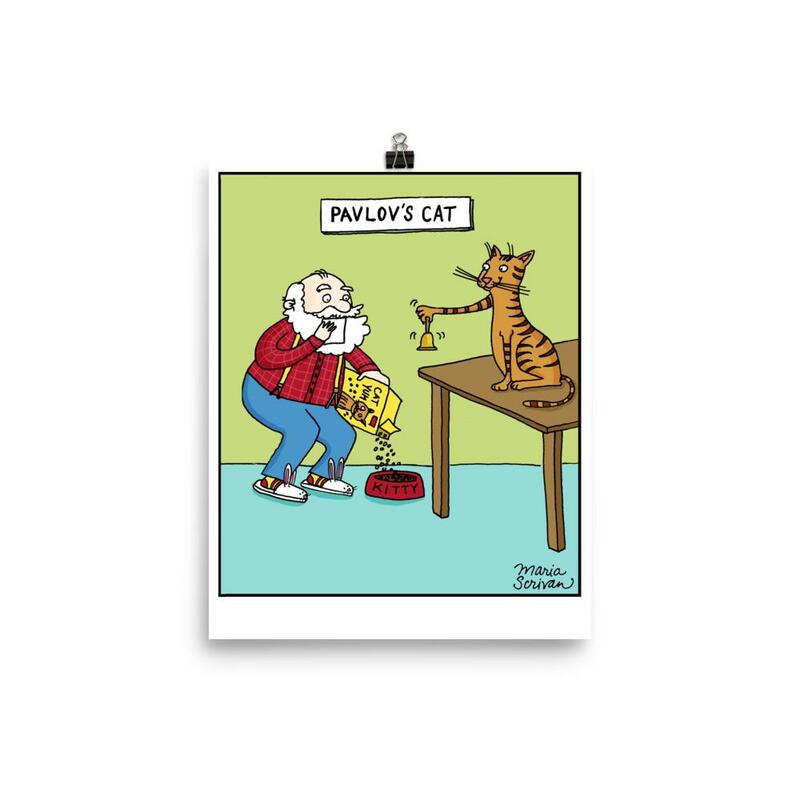 This entry was posted on Friday, April 20th, 2018 and is filed under Uncategorized. 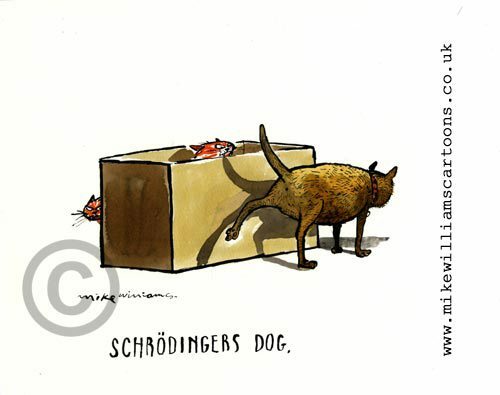 Newer Post Newer post: Waiting in the cold: the cognitive upper limits on the formation of spontaneous order.